Kai Yu is a senior engineer and solution architect in Dell Oracle Solutions Engineering Lab .He has worked with Oracle Technology as an Oracle DBA, Oracle Apps DBA since 1995 and is specializing in Oracle RAC, Oracle E-Business Suite and Oracle VM. Kai has published 16 technical whitepapers and given more than 40 technical presentations at major oracle technology conferences worldwide including Oracle OpenWorld, UKOUG, Collaborates, OTN Latin America/APAC Tours, etc. Kai is an Oracle ACE Director and was selected for Oracle ACE spotlight in June 2011, and also was featured in Oracle Magazine Sept/Oct 2010 issue. 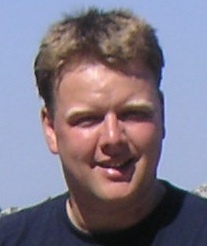 Kai has been the president and is the current board member of IOUG Oracle RAC SIG and co-founder and board member of IOUG Virtualization SIG. Kai was the winner of the 2011 OAUG Innovator of Year award . Kai has been active in sharing his Oracle knowledge on his Oracle blog http://kyuoracleblog.wordpress.com/. I work for Dell Oracle Solutions Engineering lab. I was originally from China. I live in Austin, Texas, USA with my wife Jin who also works in software industry, and my daughter Jessica who currently is a freshman in high school. I got my BS and MS degree in Computer science in China before I came to US. Then I got my second MS in Computer Science in US. Your experience with Oracle. When you started first? Has it been interest of your side or just a coincidence? My interest with database started with my Mater degree thesis research on relational database more than 20 years ago. My Oracle database career started in 1995 shortly after when I took a database engineer position in a software company working on OCI and C++, PL/SQL and DBA. On that job, I really enjoyed learning and working on Oracle database technology on both applications development side as well as the database administration side. The technology really fascinated me and I decided to pursue my career in Oracle database. What was the motive behind to prefer Oracle? Who you have been influenced by? What would your preference of profession if not Oracle? I would probably end up in software development work. The appreciation and love of the technology always motivate me to learn and try new things in my job. Do you give lectures on Oracle? Not official Oracle University class. But I have done several seminars on Oracle RAC SIG, which were recorded and managed by Oracle University and are publically accessible. I also have spoken at several IOUG web seminars and Oracle technology conferences worldwide such as Oracle OpenWorlds, IOUG/OAUG Collaborate conferences, UKOUG conference, Scotland conference, Ottawa conference, OTN (Oracle Technology Network) Latin America conference tour and APAC conference tour. Have you authored any book in Oracle? Do you manage with your time as to read books on Oracle? What is the name of the book that you read recently? By working in an engineering lab, I usually work on very latest technology on which normally there are no many published books around. I spent more time reading Oracle documents, whitepapers, Oracle support notes and Oracle blogs of other colleagues and OTN forms. But I do find a great value to read various published Oracle books to learn the topics in details in a systematic ways. What do you think on OTN forums? Oracle Technology forums is really a great way for people to share the experience and help each other. A lot of time when I ran into issues, I was able to find some hints or even the answers to my problem. I also try to share my findings on the OTN whenever possible. Do you refer to the documentation? And how often does it happen? I would say Oracle documentation is my primary resource to learn the new products. Many times I started with the beta version of the product as well as the beta version of the documentations. Last year when I involved Oracle Enterprise Manager cloud control 12c beta and Oracle VM 3.0 beta, I have heavily relied on the beta documentations and the consultation of the Oracle product managers, even the engineers from the development team. What is the biggest mistake you have ever made during your DBA career? Back to the late 90’s, on the third day after I just started working for a small company, the rented small data center had some issue with its air conditioning, and I didn’t pay much attention and only forwarded the issue to the data center facility manager to fix it. But the fix was not done immediately. Next day, the database crashed, and I was not able to bring up the database as the database startup always crashed in middle of the instance recovery. After working with Oracle support, the root cause was identified that the data block corruption in the logs caused by the overheated storage pretended the instance recovery from completing. So we had to fix the storage issue and restored the database from the backup and recovered the database to the time right before this corrupted block was written. It was very painful and very time consuming process to get the main revenue generating database back online. Luckily I implemented the online database backup in the very first day when I joined the company. What was your greatest achievement as an Oracle DBA? In my 17 years Oracle DBA ad architect career, I have received many awards including three times awards from Dell Executive management, and the 2011 OAUG innovator of year award from OAUG. But my greatest achievements were that I was able to catch up the latest technology and to be recognized by Oracle technology community with the Oracle ACE director rank and the privilege to get to know many industry leading experts in various areas of Oracle Technology. What is you priority to manage the challenges you face? My priority is always the technology. My job requires me to research the technology and design and implement the Oracle engineering solutions for various IT organizations. How would you describe the essence of your success? According to your definition of success, how successful have you been so far? Hard working, appreciation and interest on technology are the essence of my success. I am pretty happy for what I am doing today. What are your best skills which make you differ from others? I prefer hand on technology work, not much management type work. Have you ever lost your spirit? If so, what has been the reason and how have you overcome it? Not really. But I found hard time working with the people that don’t appreciate technology and don’t appreciate technical skills. What is the next success you would like to attain and your efforts to this end? I would appreciate if I can get a higher technology ladder like a principle architect position or a technical director position as I have been in my current senior technical position for ten years. But I will continue to focus on my technology interest no matter what. How do you balance your daily life with your career? It has been a very challenge to balance my daily life and my career, as I like them both, but there is no enough time. But it may be possible to have both sometime. Last year, I took my daughter with me on my conference trip to England and Scotland, and she found it very interesting and very educational on the trip. Please describe your one day summary of activities? I normally get up around 7:30am, taking my daughter to school and get into office around 9:00am. I work in office until 7:00pm. And after dinner, I started working around 8:30pm to 12:30am. During the night hours, I may also talk to my daughter for her school work or watch some piece of movies or TV on a break. How many hours do you work and sleep in a day? Around 6 hours a day, and depending on the workload or other activities. Where and how do you spend your daily, weekly and annual holidays? I like to spend my holiday in travel around the world, also visiting my parents and brother and sister in China. Do you think about Oracle during vacations? No much, travel is my big favor. I would like to learn the different cultures and places on travel. I also travel to different places in the world for Oracle conferences as well as for vacations. Do you have time or motivation to go in for any sports? If yes, which kind of sport do you go in for? I swim and play Ping-Pong (table tennis) and also run sometime. What’s your favorite meal and non-alcoholic drink? I don’t have any particular favorite food, but just prefer light taste food, not much non-alcoholic drink either. What foreign languages do you know? Beside of English, I speak standard Chinese, my native language. What’s your average typing speed? Have you ever get involved in politics? Being with family, travelling, exercising, reading, watching movies/TVs, house work etc. Visiting all the countries in the world. What would be your advice to the beginners in Oracle? Learn the solid foundation of the major; Have a strong passion for the Oracle technology; be ready for the life time learning. Would you like your children to follow in your footsteps or take a different path in life? That will depend on her interest. I don’t force anything. However, I see technology is a very good career. Do you have any followers of you? I have seen some followers in my blogs. But I found that people are easier to find the materials from my blog entries than from my whitepapers and conferences although my 16 whitepapers and more than 40 conferences presentations listed in my Oracle blog (http://kyuoracleblog.wordpress.com) have much richer materials than those on my blog entries. I plan to find some time to extract some materials from those whitepapers and conference presentations and put them on some the blog entries so that the search engine can pick up them. What is your vision on the future of Oracle? I think Oracle is a great company that produces the great Oracle Technology. I love to continue to work with Oracle Technology. Could you please take a photo in your office near to your desktop? I live in Utrecht in the Netherlands with my wife and three sons of 5, 4 and 0 years old. I work at CIBER as a principal Oracle consultant. I studied “Technische Informatica” at the Technical University of Eindhoven from 1991 to 1995. For the last part of my study I worked six months at Shell, building a query generator using Oracle6. When applying for jobs at the end of 1995, I noticed several HR departments had put a red circle around the word Oracle, because it was in demand. So it was coincidence. I had some bad experiences using other (M$) technologies at Shell and the front end tools of Oracle, especially Forms and Designer were very good at that time. I still believe you cannot top the productivity we got from using those tools. Nowadays I have only seen APEX coming close. From 2003 to 2006 I read a few threads each day on AskTom, so Tom Kyte has had a big influence on me. From then on I started participating in forums and reading Oracle related blogs. Currently I have more than 100 blogs in my reader, who all influence me in one way or the other. I would probably still work in IT, maybe as a web developer or for Google. Getting better at what I do and learning new things. Yes. At CIBER I have give (and attend) knowledge sessions for (by) colleagues. I have presented at several conferences like UKOUG and Oracle OpenWorld. And I just started to give a seminar for Oracle University called SQL Masterclass in their celebrity series. Yes, but not very much. One or two per year at most. The last one was Oracle Insights – Tales from the Oak Table. It’s where I started to answer questions in 2006. Besides trying to help, I quickly found that it’s a great way to learn as well. There are lots of very knowledgeable people there that you can learn a lot from. My participation has dropped significantly the last two years because I don’t like the forum software. These days I answer more at Stack Overflow. Their forum engine is absolute fabulous compared to OTN. I always do. A lot. I’m not a DBA, but I have made a lot of mistakes of course. I once completely refactored a very important and complex batch job to run in 2 hours instead of 5-6 hours using bulk processing. This went good, but a half year later, I implemented a change, where I screwed up the relation between accounts and bill lines in the bulk collections. The result was tens of thousands of people would get charged energy bills for someone else’s products. The end users had already accepted the change in UAT and it was ready for production. Because of some dependencies, my change stayed in UAT for two months. And by coincidence, a colleague implementing another change at the same module noticed my mistake, just in time. I’m still thankful to him. Thanks Riné! What was your greatest achivement as an Oracle DBA? As a developer, I introduced instrumentation at a customer site. Experiencing how solving production issues was hard or even impossible and became a piece of cake, is very rewarding. The return on investment is just phenomenal. In the world it’s not unique by far, but in my job I think it’s rare to find the combination of being able to retrieve or manipulate data in any way you want combined with understanding what you’re asking the database to do for you. Spending too much time behind my laptop. That’s a struggle with only 24 hours in each day. There is no such thing as a typical day, so this question is almost impossible to answer. I work 8 hours a day and I try to sleep 8 hours a day. Different locations, but we love to go to Turkey one week each year. I usually bring one Oracle book with me, but a vacation is mostly offline for me. Once a week I play tennis with friends. At amateur level, but with great enthusiasm. Sandwich with ragout made by my mom, and cola. English and a little bit of French. Dutch is my mother language. Oracle of course. And listening to music, working on my APEX application for Tour de France poules, playing Civilization and playing tennis. With my family and exercising the above mentioned hobbies. To raise my children well. Read and try to understand the Concepts Manual and participate in a forum. I hope they will do what they like best, whatever that may be. According to Google Reader, 247 readers have currently subscribed to the RSS feed of my blog. I seriously doubt they all consider them “followers of me”, though. I don’t have a vision on Oracle’s future. They’ll probably do fine and expand some more. And their database will remain the best one. Alex Nuijten started of as an Oracle Developer mainly with Oracle Forms, Reports and Designer but fell in love with SQL and PL/SQL. Next to his consultancy work he also writes articles for an Oracle related magazine, blogs on the AMIS Technology Blog and his own blog, conducts training classes and is a regular presentor at National and International conferences. 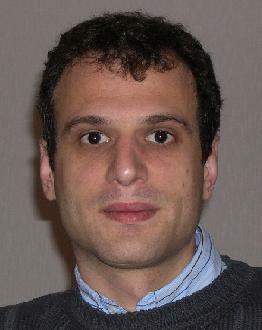 Alex is a frequent contributor at the Oracle Technology Network forum for SQL and PL/SQL. I’m a database developer and expertise lead database development with AMIS in The Netherlands. Married with Rian, two children – Tim 9 and Lara 6. I am a Physical Therapist. Oracle was coincidence. I worked (as a Physical Therapist) and lived in the Florida, US, for about 5 years and when we moved back to The Netherlands I decided to change careers. The company that hired me offered to train me in Oracle, and that’s what I’ve been doing ever since. Oracle is what I have done ever since I changed careers. There are so many people that have influenced me within the Oracle area. Haven’t really considered changing careers again, I still love what I do. The technology. Trying out new features. Learning new things. Yes, conferences at which I am presenting are usually up on my blog ( http://nuijten.blogspot.com ). Besides the conferences I also do training classes for AMIS and Oracle University. No, I haven’t. However I am a regular writer for Optimize, a Dutch magazine for Oracle professionals. Before I go to sleep I always read. The last book I reread was “Pro Oracle Application Express” by John Scott and Scott Spendolini. I think the OTN forums is a great resource. A lot of knowledgeable people there, and a lot of fun. Very often. Tahiti.oracle.com is one of my bookmarked websites. Before answering questions on OTN, I tend to look it up in the documentation first. I’m still not a DBA… J I guess my greatest achievement is that I still enjoy my work a lot. I always go to my work with a big smile on my face. What is your priority to manage the challenges you face? I tend to take one step at a time and take things as they come along. “the essence of your success”…. Wow… I don’t know, I just do what I love to do and apparently that is appreciated by some. I guess I always want to try out new things, be involved. Procrastination. You can procrastinate almost anything, except procrastination. If you ever lose the spirit, it’s time to find something else to do… something that you do enjoy and get energy from that. I am still very happy with being awarded Ace Director. Things seem to work out. I don’t doing anything special to balance things out. At the moment I’m busy preparing my presentation for Oracle Open World, which I will do with my colleague Lucas Jellema. Most of the time I am consulting at a client side just like everybody else and sometimes I might be teaching, visiting a conference and check out the OTN forums. About 7 hours of sleep. I enjoy going camping. Preferably if the weather is nice, as long as it’s not raining it’s alright. Yes, I always take an Oracle book with me as well as my laptop. I try to go for a run once or twice a week. When the weather is nice I enjoy inline skating. There are so many delicious things. I love a good barbecue, smoked ribs (most restaurants boil them,… yuck). Sushi is also something you can wake me up for. It depends on the meal what I will have to drink. Non-alcoholic: water. English, little bit of German, very little French, little Spanish. My mother tongue is Dutch. Don’t know. Fast enough I guess. Reading, watching TV, playing with Oracle, going to the soccer matches with my son’s team. Going to the Track and Field games with the kids. Never really think about that sort of thing. Always check what people are saying to you. Things change over time. 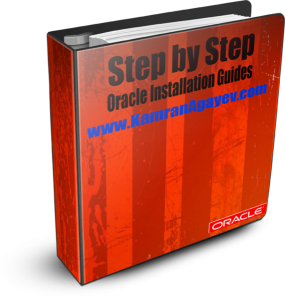 Learn how to use the Oracle documentation. My son wants to be either a Professional Soccer player or a Track and Field Athlete. My daughter wants to be a teacher. When someone leaves a comment, good or bad, I always enjoy it. Oracle will keep expanding and will stay the best Database in the world. Sabdar Syed is an Oracle ACE, Oracle Certified Professional (8i, 9i & 10g), Oracle Certified Expert (10g RAC), and Oracle 11i E-Business Certified Professional with over 8 years of experience in Oracle Database and Oracle Applications Administration with strong Unix/Linux administration skills. He’s currently working as an Oracle Database Administrator for a first bank, Saudi Hollandi Bank, in Kingdom of Saudi Arabia, (Riyadh). He has extensive experience with Oracle Database 11g, 10g, 9i, & 8i , Oracle 10g RAC, and Oracle E-Business Suite 11i, Specializing in Installing, Configuring, Administering, Cloning, Patching, Upgrading and Migrating, and troubleshooting of Oracle Database 11g, 10g, 9i, & 8i , Oracle 10g RAC, and Oracle E-Business Suite 11i on different UNIX and Linux OS including Solaris, HP-Unix, IBM AIX and Red Hat. 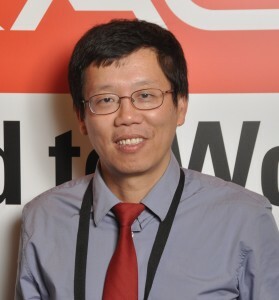 Good exposure in implementing backup & recovery strategies and implementing high-availability solutions (Real Application Clusters (RAC), Data Guard (Standby)).He has written and published a couple of articles on Oracle Metalink Customer Knowledge Exchange. He owns his blog ( http://sabdarsyed.blogspot.com ) where he discusses the issues that he faced and resolved, and also the topics he tested or implemented. 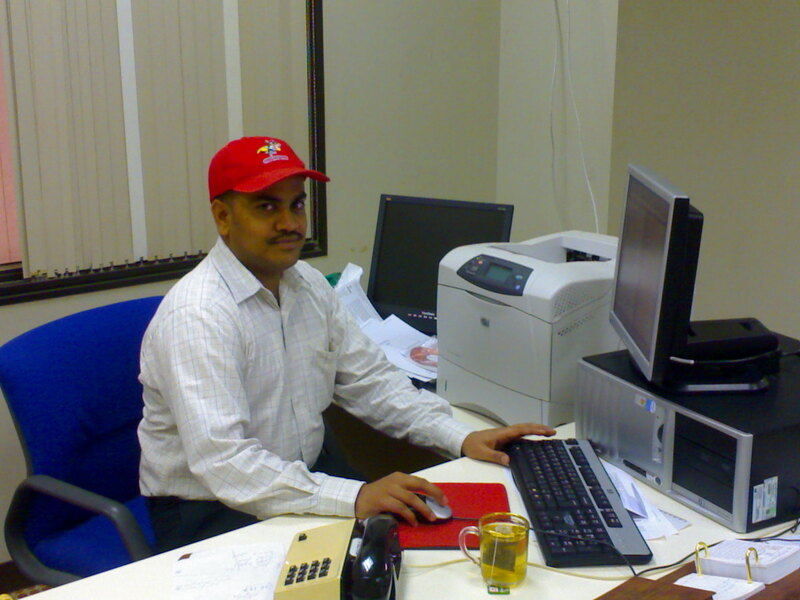 I am Syed Sabdar Hussain, an Indian national currently working for Saudi Hollandi Bank, K.S.A. I have 3 brothers and a sister and I am married person and have one son. My wife is Rozina and my son is Rayyan (2 years old). I started using and practicing Oracle SQL & PL/SQL from my graduation in the year 1999-2000. When I completed my graduation, I got trained in Oracle 8i DBA Administration in the year 2001. Then, I started working as Oracle DBA since 2002. My elder brother, Mr. Syed Jaffar Hussain, who was already interviewed in your blog, is my motivator and mentor. He preferred me to choose my career in Oracle Technologies, and also he taught me many core techniques in Oracle DBA. I always follow his footsteps. He is not only a motivator to me but also he is a motivator for many other DBAs too. My ability to work hard and deliver results, and reorganization and appreciation at the work motivates me. My past experience motivates me to become DBA from Junior to Senior Level. No, but I do give internal technical presentations in the company and do train Junior DBAs. I’m sure that I will be prepared for open lectures on Oracle in near future when the opportunity comes. 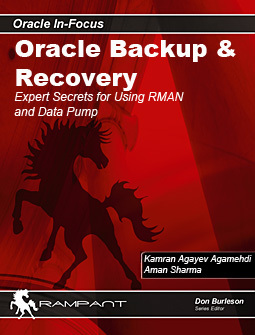 I’m currently reviewing the book “Oracle Backup & Recovery: Expert secrets for using RMAN and Data Pump” for Rampant Techpress. And, I helped my elder brother by reviewing the chapters and testing the scenarios he prepared for his upcoming book “Oracle 11g R1 / R2 Real Application Clusters Handbook”. And looking forward to review other Oracle books and write a book on my own in Oracle Technologies in near future. OTN Forum is a great and wonderful technical forum and one and only place for every DBA to join and get the answers for their questions and clear their doubts from the top experts in Oracle. I’m also a member of OTN and myself asked many questions and answered to the other DBA questions in OTN forums. I would strongly recommend every novice and junior DBAs to keep follow the OTN forums to gain the great real knowledge shared by the experts. Of course and I regularly refer the Oracle Documentations, my first and foremost source would be Oracle Documentation to get the concepts clear, and definitely documentation is a key for every Oracle Professional. I would prefer to read ILT materials as well, as these ILT chapters and concepts are refined and prepared from the vast Oracle Decimations. Implanted Oracle 10g R2 RAC on Two Nodes, Upgraded and migrated critical banking database (2TB) from 9i to 10g, Converted single-instance to RAC Database using RCONFIG in with nominal downtime, Converted large Data Warehouse Databases from non-ASM to ASM, Performed Cross Platform Database Migration, Implemented Physical Standby Database, etc. First understanding the issue or challenge, and prepare myself to resolve the issue with all the possibilities I know, or discussing with the team members or contacting with Oracle Support to get their ideas to approach the solution, i.e. no question of giving up the challenges to face. Confidence, dedication and hard work are few essences of my success; these helped me a lot to be in this position today. Have no such known. But sometimes discourage and criticism make us feel loosing spirit. But no issue, after all we are humans, we need to think positive and need to know what we are, and get going. Never feel happy when someone appreciate your work and never feel bad or loose your spirit when someone discourage or criticize. So, believe in always of what you do. My next goal or success is to become an Oracle Certified Master; I’m gearing up for it, and will appear for this exam by the end of this year or the beginning of the next year. But, I have to undergo two Oracle Training courses to eligible for writing this exam. Not so easy to balance the personal life with professional life. All the time I’m on demand and should available for weekend activities in the bank. Due to this, sometimes, I don’t find enough time to spend with family, but I will surely fulfill the promises right after my busy schedules. Wake up by 7 am and get ready, take breakfast and go to the office by 8 am, 1 hr for lunch in the after noon, return to home by 6 pm from the office, rest of the time spent at home by playing with my son, watching TV news channels for sometime, working on laptop and using internet for sometime, having dinner with family members together, and usually will go to bed by 12 in the night. It’s like machinery life throughout the week. I work for 9-10 hours and sleep for 6 hours a day. During weekends with friends and colleagues, and definitely annual holidays with parents back in India. Now a days NO, but I used to play cricket during my college days. A little bit of Arabic language, and Indian languages – Telugu & Hindi and little bit of Kannada. Never but like to read and know about politics. I would suggest and advice the beginners in Oracle to join OTN Forums and other Oracle Forums, do practice all the DBA scenarios on different OS including Unix/Linux, prepare for Oracle Certifications, make a habit of referring Oracle Documentations/books/blogs., etc. I will wish them to choose their own path which would definitely better for them. Yes, my followers are from my family, friends, and my blog viewers. Oracle has already come up with consolidate, compress and control in the latest version 11g R2 in the market. But still I would like to see Oracle is to be more integrated technology and complete solution for all the worlds business needs. i.e. All-in-One/one place for everything. Porus Homi Havewala is a Principal Consultant with extensive experience in Oracle technology since 1994, including being a Senior Production DBA, Senior Database Consultant, Database Architect, E-Business Technical DBA, Development DBA, and Database Designer Modeller (using Oracle Designer of course). He has worked in Oracle India and is an enthusiast for Oracle technology, especially Grid Control and RMAN, on which he has conducted seminars for various large corporates and their management, and helped them to implement these powerful enterprise tools. Porus has worked for a number of years with the first production Grid Control site in the world, Telstra in Australia. He has published a number of articles on Grid Control and RMAN on OTN, and created the first blog in the world fully dedicated to Grid Control, showcasing podcasts exclusively based on this technology. I am a Parsi Zoroastrian, proudly born in India. My ancestors migrated from Iran to tolerant India about 1200 years ago after the Arabic conquest of Pre-Islamic Zoroastrian Iran, in order to preserve our ancient religion of Zoroastrianism. We are a small and highly respected minority in India, in which we have been given full freedom of worship for the last 1200 years. I am a happily married man, married to a fine lady of my own Parsi community. Bachelor of Science, Post-Graduate Diplomas in Computer languages, Two Oracle Education Masters (Designer and Developer) from Oracle Education Australia, 10g/11g OCP, RAC certified expert, Performance certified expert. I started my computing career as a Turbo C (Borland) developer, then moved to dBASE the PC database as a way to fast develop applications. In the early 1990s, the invoicing, profit/loss, export documentation dBASE applications I had wriiten for a Japanese beef export company in Australia were straining under an increasing volume of data and users. I started to investigate the client-server RDBMS world, where I was very impressed with Oracle’s Multi-version Read Consistency and multi-platform support at the database level, and Oracle CASE (Computer Aided Software Engineering) 5.1 at the development and design level – CASE 5.1 was the forefather of Oracle Designer. No other database vendor had anything like Oracle CASE at that time, which was years ahead of its time. I was hooked and convinced my boss to go for Oracle. This was in 1993-1994. Oracle’s leading edge technology, even then, even now. Oracle’s enthusiasm for technology. A biomedical researcher into old age geriatics. But I didnt want to sacrifice animal lives in research. So I entered the computer field. Oracle technology, and the desire to further it’s use in the world. For example, not many people know how Oracle Audit Vault can help them in their auditing requirements. Not many people know how powerful Oracle Enterprise Manager Grid Control is, and how useful it can be. Yes, I have conducted a number of successful Oracle technical seminars in Singapore. I am pleased to announce that my new book “Oracle Enterprise Manager Grid Control: Advanced OEM Techniques for the Real World” is getting ready to be published soon (Fall 2010) by Rampant Techpress. Please do recommend to all your friends and colleagues, it is a great handy book if you really want to make best use of Oracle Enterprise Manager Grid Control. I have based it on a lot of practical experience and I am sure it will be useful to a lot of you. The OTN is the world’s largest online community of Developers, DBAs and Architects. I read Oracle books ocassionally. I recently reviewed “Oracle SQL Developer 2.1″ by Oracle’s product manager, Sue Harper. I try to help and advise, based on my knowledge and experience. Of course there are many other experts who know more than me. Oracle 10g/11g Documentation is my bible. I refer to documentation whenever I want to verify a technical point. I stopped a production listener by mistake from another server. We password protected it after that after we realized the vulnerability. In 2008 I was awarded the “Oracle ACE” title followed by the prestigious “Oracle ACE Director” title by Oracle Corporation USA. These titles are the FIRST such awarded in Singapore. Humanity first and foremost. A human being is the greatest thing on earth. There is a verse in in the Taittiriya Upanishad (Indian scripture) that says “Matru devo bhava, Pitru devo bhava, Acharya devo bhava, Atithi devo bhava” = One should treat their Mother, Father, Teacher and Guests as God. Moderately successful – by God’s Grace. Enthusiasm for technology and an interest in writing. At times, a lack of patience. Everyone has that phase. Just think positive – tomorrow is a new day. Make the world a better place to live in. Life is life and career is career, draw a clear line. Work. Do something good. Help someone. Learn. Learn something nice. Teach someone. Eat simple. Think of God. Sleep. I try to sleep at least 6 hours. Vacations are for thinking of my family. Only walking, which was Mahatma Gandhi’s favourite exercise. Parsi dishes made from the fresh food in India is delicious. Sugarcane and Mango juice – the sweetest is in India. English, Hindi, Gujarati (my mother tongue). I am a one-finger typist. Blogging. Writing. Technical as well as spiritual topics. The popular blog I maintain is http://enterprise-manager.blogspot.com with Oracle Press credentials, and has received more than 8,000 visits since 2008 from all over the world. Watch movies, Indian and English, also documentaries. Read Wikipedia. Have patience. You become a DBA only after years of experience. First and foremost, they should never forget humanity. I have friends not followers. Oracle has an awesome future. This is me conducting the most recent “Oracle Database Security” Seminar for Oracle and S&I Systems (Platinum Partner) at the Sun Solution centre auditorium in Singapore. Ittichai Chammavanijakul has started working with Oracle database since 2000, he has been involved in about all aspects of Oracle database technologies including RAC, ASM, Data Guard and Streams. He has designed and implemented many different varieties of high available database environments using RAC on ASM and Veritas Cluster File System. He enjoys database and SQL tuning. Recently he has also been interested in web development using Oracle APEX. 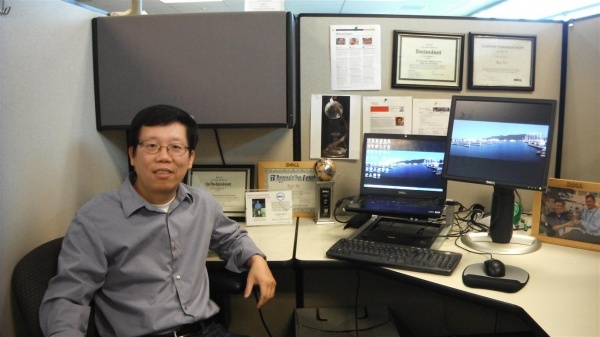 In his current role as data warehouse architect with Motorola, he has architected and implemented many business-driven solutions using Oracle and other vendor products to meet critical business needs especially in warehousing area. I’m married to the most beautiful, charming, funny and talented woman on earth (who is also watching my screen as I’m typing this). We live in Chicago, Illinois with our daughter and a dog who thinks he’s a cat. I did my Bachelor Degree in Electrical Engineering with the emphasis on Telecommunications. My Master Degree is also in the same field with the same emphasis. I started my career as a wireless engineer, but later switched into IT as a system administrator. Then one thing led to another and I got into Oracle. I’ve been working with Oracle since version 8.0. Whatever I say here will bore you to tears. I was interested in Oracle because it has the largest market share in RDBMS, and I found its technology to be very challenging. So I motivated myself to learn and become better at it. I’ve had fun along the way. In the alternate universe, I would be a professional golf player. I’m a troubleshooter by nature. I like to solve problems the way I do puzzles or riddles. And in this field, problem is something you never run out of. I do internal workshops and trainings all the time. No, but I’d love to someday. Yes, definitely. Currently I’m reading the “Oracle PL/SQL Programming” by Steven Feuerstein. There are many tips and tricks I’ve never known before. It is interesting place where you can interact directly with Oracle experts. I believe what makes Oracle great is its community and contributions, especially in the OTN forums, from all Oracle technologists worldwide. All the time. I always go to tahiti.oracle.com for Oracle documentation if I would like to research for any topics. Besides the OCM certification, the fact that I’m still able to balance my technical and management roles at work is my personal achievement. Plan ahead as much as you can, but expect the unexpected. In addition to dedication and hard working, I love what I’m doing. That will drive you to accomplish anything. Seeing the big picture to connect the dots. I can’t say no to ice cream. Have I lost my spirit? I would say no. Occasional discouragement, perhaps. But doesn’t that happen to everybody? I’d like to find more time to blog more consistently. Ideas abound, but time is scarce. It hasn’t been a challenge, really. I love my job and I enjoy goofing off with my family. I’ve been blessed to have a good balance between the two while making time for myself as well. I work 8-10 hours a day with occasional breaks in between and lots of phone calls and (back-to-back) meetings. In the evening, I walk the dog, play with my daughter, and cook up something with my wife in the kitchen. We love to cook. It is varied. Usually I work about 8-10 hours a day. I also sleep 8-10 hours a day. At home, we relax in the kitchen a lot, cooking up new dishes. On weekends, my family and I like to visit a new restaurant to try their food. Each year, we make a point to travel to a new overseas destination. I play golf. It relaxes me and helps increase my ability to focus at the same time. Golf is about figuring out creative solutions to problems. You practice a lot disciplines in this game. You compete with yourself because, unlike other sports, it has no referee or umpire. I love Thai street foods: Khao Man Gai, Pad Thai, etc. I’m a fan of foie gras torchon, artisan cheeses and all those things, but the truth remains — the best foods in the world are made street-side and sold on carts. English (foreign to me as my mother tongue is Thai). I also speak some Mandarin and read Attic Greek and Classical Hebrew. 63 WPM last time I checked when playing SpongeBob SquarePants Typing game at Apple Store. We’re a family of foodies, so we’re always going out to eat different types of food at different places. I’d like to start a nonprofit organization that deals with education for the underprivileged. Read a lot especially Oracle documentations and/or blogs. Ask questions on forums or blogs. Test everything you read or you are told. Understanding basic concepts is the key. It is tempting to jump into more advanced concepts like RAC, ASM, etc. But without a solid foundation, it may be difficult to grasp the whole. I just want my daughter to be a happy person. That’s all I ever want for her in life. If happiness means she follows my footsteps, then so be it. Oracle will continue to expand its product portfolios by acquiring more companies. Oracle solutions will be more complete covering more aspects of technologies. Unfortunately, this is against the company’s policy to take picture in the office. 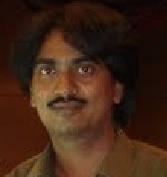 Hemant K Chitale has 17 years of experience as an Oracle DBA. He has been a DBA on a wide variety of Unix platforms (some of them extinct now), Linux and Windows, from V6 to 10g. His career has spanned organisations from the Financial Services Industry to Manufacturing to Consulting. He has been a guide to junior DBAs and is in the habit of writing notes and case studies on technical issues in Oracle Database Administration. Portions of his spare time are spent on Oracle forums and on testing features of the Database. Database Performance and Backup and Recovery are his areas of interest. However, he does also have other interests in Non Fiction books and Serious Movies. “To learn and share knowledge” is a constant driver.. I have a wife and a 14 year old son in Secondary School. My formal degree is in Finance. However, I have done a Post Graduate Diploma in Software Technology after I began working in I.T. I began with Oracle5 on DOS and Xenix. When I joined Stock Holding Corporation of India Ltd, I began in Securities Trading Market Operations. However, the systems we were using intrigued me. The architecture was ahead of it’s time : Distributed Databases with Oracle5 on DOS sharing data with a “central” Oracle5 database on a Xenix server. I moved to the I.T. department after my first year and soon started working on the Database sometime in 1991. Other than Oracle, the only “Database” I had seen was dBASE-III+ ! I liked Oracle for it’s multi-user support in V5. V6 and V7 introduced Rollback Segments, Redo Logs, Row Locking (the “Transaction Processing Option”), PLSQL and I was hooked. Years ago, before Oracle books came out, I read Steve Adam’s postings on newsgroups. Then, later, Cary Millsap’s book “Optimizing Oracle Performance” Jonathan Lewis’s book “The Cost Based Optimizer”. Teaching. I like sharing knowledge. The opportunities to “discover” different facets of databases and application design. Some implementations really leave you with “awe” while others are “shocking”. It’s always something new, exciting, challenging or disappointing or frustrating. It is much more intellectual than Finance. When I have had the occasion to. I have conducted a 5 day DBA-I course once and a course in Advanced Replication (both in the 8i days). Besides these, I have, on occasion, conducted 2-4 hour sessions. Unfortunately, no. I wish to and intend to. The most recent Oracle books that I have been reading have been “Refactoring SQL Applications” (ok, not strictly Oracle-only) by Stephane Faroult and “Advanced SQL Functions in Oracle 10g” by Richard Walsh Earp and Sikha Saha Bagui. However, I am currently reading “The Professional” by Subroto Bagchi and “Fool’s Gold” by Gillian Tett. A very useful platform, still underused. There are many people I know that should be on OTN forums but, for whatever reasons that I cannot fathom, are averse. I guess you have to have a certain attitude before you open up or spend time on forums. This is an infinitely better way to spend your time than something silly as Facebook. Very frequently. Most often the SQL Reference (because I don’t — and do not intend to – memorise syntax. Syntax has to be understood rather than memorized). Also, the RMAN Reference (known as the “Backup and Recovery Reference”) and the Database Reference. There was this time when I deleted an Online Redo Log when re-organising Logs. Fortunately, it wasn’t a CURRENT file but an INACTIVE one, so there was no harm done. I could clear that quickly enough but did also bounce the database instance “to be safe”. Single-greatest ? Actually multiple great ones. Cross-Platform Migration from V6 to V7 in a short time-frame was one – although most DBAs would laugh at this now, back in those days it was my first Upgrade + Cross Platform + Cross Location migration. Another one was implementing Oracle OPS in V7. Building a Standby Database in V7 (DataGuard was a decade in the future !). There have been a few Oracle Ebusiness Suite (10.7 and R11) upgrades that have been significant achievements. As also storage-based D.R. implementations. Staying cool. I can handle technology failures. People’s unwillingness to learn and/or share knowledge, particularly when it is needed, is something which makes me despair. What makes me angry pushing a “never-live” project and continuing it as if it were a success. I have seen instances of refusal to acknowledge that corrective action is required and that responsibility must be owned. I wouldn’t say that I am successful yet ! I am trying to do a good job but am not near achieving my potential. Not understanding people – what motivates one person but not another, why does a person or a group of people behave in a certain manner ? Humans just are weird ! Yes. Leading to depression. The best person to talk to is your wife. The next best person is someone outside the organization you work for. However, fortunately, I have had good supervisors throughout my career, only that I have approached them too late. Ah! That would be telling. Get up. Read the newspaper. Get ready for work. Commute to work. Do some work. Return home. Watch Television. Spend time on the Internet (forums, lists, news etc). Work should not be the most important part of the day – everything is equally important. 4 to 6. Sometimes I wake up in the night and can’t go back to sleep. Annual holidays in India with my parents, brothers and in-laws. An additional visit to some other neighbouring country in the region, about once in two years. Indian Vegeterian (which covers a whole gamut of different foods, believe me !). Tea. Foreign to which country ? Hindi, Marathi and Gujarati are Indian languages that are Foreign outside of India ! I have a certified speed of 40 wpm on manual typewriters from 1981. Computer keyboards nowadays are different from those typewriters but I have heard people say that I am “fast on the keyboard”. Reading. Non-fiction – economics, history, politics, science/technology and Oracle – besides a bit of crime / detective fiction. Television. Crime Channels, Knowledge Programs, News Programs and a few family programmes. On Internet Forums and Email lists. I am not known to be ambitious. Read the documentation, practice Oracle, learn, keep an open mind. My son will NOT be an Oracle DBA. That is 100% certain ! He knows what the job requires. Define “followers”. I do not like any possible definition of the word. Cheaper licencing for the Database products. Nicolas currently works as an Oracle DBA consultant, particularly with PeopleSoft application, and is responsible for the technical support of development and production teams. Nicolas challenges himself to think differently on complex queries in order to gain milliseconds (transactional) or hours (batches) of the process time. Since 1998, Nicolas has been working with Oracle products (started with Oracle version 7.3 followed by 8i and 9i) and held many positions including developer, DBA and analyst. Nicolas is an active participant in the OTN Discussion Forums as he thrives to share personal experiences and maintain his neurons in place. I’m French, married, one daughter 10 years old. We live in the Netherlands for the last 2 years and a half now. I finished my college, IT dedicated, in 1995. After being a COBOL developer, I started on Oracle as a developer on Oracle Application (before it is became eBusiness) in 1998. Then started as Oracle administrator later on 2000. And Peoplesoft admin in 2002. Oracle is one of the greatest IT Company in the world, with one leitmotiv: “keep changing” which make me in happy to avoid having an annoying job every single day of a life. As I explained earlier, I enjoy my job because there is always something new to learn. No, but time to time I teach some people on SQL query and Peoplesoft. OTN forums is an amazing place. When asking question, you could have an answer within minutes, but as always on Internet, you can have the best like the worst, so advices should be always taken carefully, and keep in mind that is not the Oracle support. Yes, always, that’s why I’m complaining when online docs are not available, and sadly, no search feature on the downloadable docs version. The biggest mistake would have been to forget we all were beginners, and also forget to keep us up-to-date. Still being around on the stuff I like. Many of my colleagues tend to go for management, not me. Keep learning the new Oracle and Peoplesoft versions. The success is not a target, it is the way to reach it. I don’t know, but trying to keep a high level of knowledge on different scopes like SQL, Oracle db admin and Peoplesoft admin helped me a lot. My migraine makes me knock-out some entire day. When I meet my future wife, I’ve never recovered. It is one of the most important challenges I’m facing. Actually I think it’s like for million other people. There is not enough hours per day, I would love 30 hours a day to be happy. If there are spare days, that can happen, yes. I’m trying to attend the most as I can to fencing club, but when I’m looking back, it is not so often. French (mother tongue), English (used daily in office), Russian. No idea, but I’m not really fast, especially on non-French keyboard. Testing new Oracle products and version on my lab. With 18,000+ post in OTN forums, I leave you assume how I spent my free time. And also, with my family. Keep motivation and learning despite errors and huge way in front, because if non-beginners are more or less far away, they have the same. I leave my child to decide by herself, but I’m doing my best to offer her the choice to do what she wants. I don’t know. I’m doing what I like for myself (including my blog), not to be followed, but if that helps people, then I’m glad. Oracle is constantly changing and growing, more and more during the last few years than ever. Who could have said Oracle would buy Sun 2 years ago ? So, difficult to say, but I’ll try to be there. The first rule here is “no picture inside the building”, the second is “keep the desk clean”. So, nothing to see. 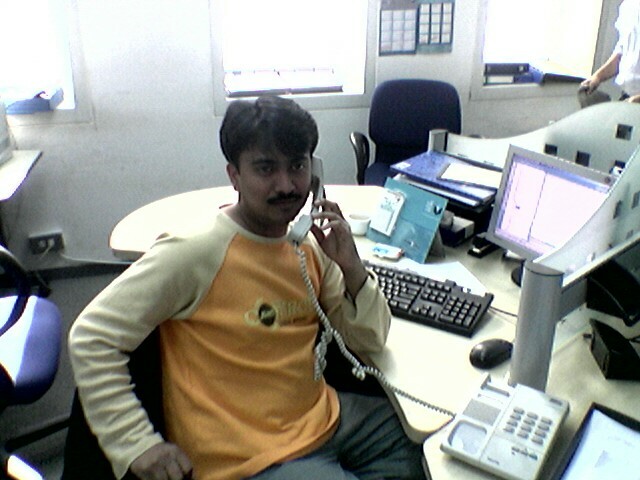 I am Syed Jaffar Hussain, an Indian national currently working for Bank Inma in Saudi Arabia country. I have 3 brothers and a sister and I am married with three sons. My wife is Ayesha and my sons are Ashfaq(9 yrs), Arfan(6 yrs) and Aahil(10 months old). I have done my Bachelor of Commerce (B.Com) and did a diploma in Post Graduation In Computer Applications. I had first heard about Oracle technologies way back in 1997 and wanted to switch my career from FoxPro programmer to Oracle technologies. Hence, in 1998 I have learned Oracle 7.3 version. In 1997, from few people I have heard about Oracle technologies and its influence and rapid growth in the market. Hence, I wanted to start with something new and adopted Oracle technologies. I would have been continued as programmer. Being an Oracle consultant, it gave me an opportunity to work with different clients, big clients, on different environment with different requirements. I had a new and very challenging role with each client I have worked for. I do deliver Oracle University 5 day courses on behalf of local Oracle University on different Oracle Technologies and I have also given one day seminar on RMAN in Sweden and Denmark on behalf of Oracle EMEA. Also, frequently conducts corporate tailored made Oracle training to different clients. During my initial days, I used to read Oracle documents and other Oracle related books for at least not less than 6 hrs a day. Though, I don’t spend that much now, but, still reads Oracle Documentations. It’s been quite a long time that I really read any Oracle book complete. I really have a great respect for OTN forums where you can see the top most Oracle Experts take some time from their busy schedule to answer to interesting and challenging questions. OTN Forums is one stop for all new and experienced DBA to get answers to their questions as I think a silly question is better than a stupid assumption. I have learned a lot from OTN forums and I used to spend most of my time answering on OTN Forums with the nick name The Human Fly. As I mentioned before, I am a great fan of Oracle Documentation and really it does contains everything that you are looking for though a quite large number of pages. I don’t remember any such incident, however, I want to recall an incident that happened at one of my previous client where they were maintain a data warehouse database around 3TB sized has only one redo member and all the redo groups /members were placed in the same file system. The admin screwed up the filesystem while doing something and due to the loss of all redo log files, we were ended up restoring 3TB database. There are quite a lot. I have done a lot of Performance Tuning and increased the performance tremendously for most of the critical application databases. I have setup Data Guard for all the banking critical application databases and done switchover and failover on demand. I have also set up 4 RAC environments with 8 and 6 node production and 3 and 6 development setup with over 100 databases across the nodes. Understand the problem or requirement first, have detail study and think all possible way to implement or resolve the problem. Don’t panic at any situation as every problem got a solution, this is my funda that I believe in. I believe that there is no short cut for success. Dedication and Hard working is only the way to success. Whatever I have done so far, I have been thoroughly successfully because of my dedication and hard working. You need to love what you are doing and put dedication and hardworking, success will follow you. My mind set and determination. Believing people blindly and being too emotional. At one my previous company I gave my 4 yrs services believing that I will get all the rights that I am deserved for. However, some people back stubbed me with their cunningness to cover up their mistakes. It was a shock for me, at the same time, a big lesson to learn in my life. However, now, almighty given me that I never think of and I must remain thankful to almighty my entire life. 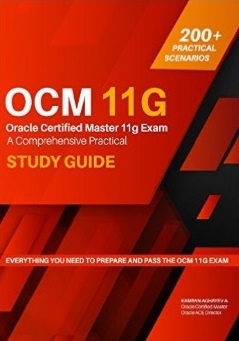 I use to dream about becoming Oracle Certified Master one day, finally I have achieved OCM a year ago and since then thinking of something more challenging and ended up writing a book on RAC. It’s really tough to balance the personal life along with the hectic duty hours. Working for one the biggest bank here in Saudi Arabia, I am on round the clock support and most of the week-ends working for several maintenance tasks. Sometimes, felt that I am not a good father to my kids as I am not able to spend my time with them. But, I must thankful to my wife who is so understanding about my situation and encouraging for my work. I think that my everyday life is like a machinery life, no change, and daily as usual. I typically wake-up at 6am in the morning to drop my kids at school as their school start here at 7am, sometime takes my breakfast, most of the time without breakfast, comes office at 8am with 1 hrs lunch break in the afternoon. By the way, there is no static timings for leave office in the evening. Typically, I go home almost 7pm, watch TV for few hours, or sit on PC to finish any pending work and go to sleep at 12 in the night. I work from 8am till 7pm and hardly sleep for 5 hrs a day. Every year we all go to India for a month vacation. I feel I am old enough to play any sports now. My favorite sport is Cricket. Hyderabadi chiken or mutton biryani with a diet pepsi. A Bit of Arabic language. I knew Telugu and Hindi Indian languages. My typing speed, either on Numeric pad or characters is too fast. Watching cricket, movies and reading news papers. Start my own IT company. If you decide to do anything to achieve, don’t give up, do the hard work and never let your tempo goes down. Understanding the basics of any technology is the most important key factor for a good career foundation. Read and test and don’t hesitate to ask a silly question which comes to your mind. I really don’t want my children to go through what I have gone in my life. I really want to see my children achieving great heights and definitely want them into non IT field, like Doctors or Business areas. Quite a lot in family and friends. Oracle making life easier of most of the DBA by introducing automatic features. 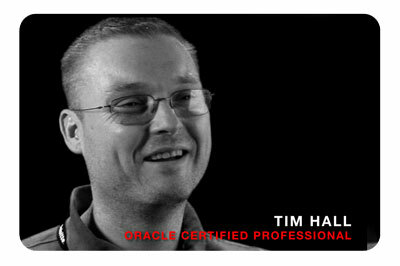 Tim Hall is an Oracle Certified Professional (OCP) DBA (7, 8, 8i, 9i, 10g, 11g), Oracle Certified Associate (OCA) PL/SQL Developer, Oracle ACE Director and was chosen as Oracle ACE of the Year 2006 by Oracle Magazine Editors Choice Awards. He has been involved in DBA, design and development work with Oracle databases since graduating from university in 1994. He has gained a wide knowledge of the Oracle software stack and has worked as a consultant for several multi-national companies on projects ranging from real-time control systems to OLTP web applications. Since 2000 I’ve published over 350 articles on his website (www.oracle-base.com) covering a wide range of Oracle features. He has also published two books, “Oracle Job Scheduling” and “Oracle PL/SQL Tuning“. I’m a DBA/Developer and have been working with Oracle for approximately 15 years. I did a PhD in Molecular Biology before getting a job in IT. 3. Your experience with Oracle. When you started first? Has it been interest of your side or just a coincidence? I got my first job with Oracle completely by accident. I had no knowledge of the company or their products. I didn’t even really know what an RDBMS was. 4. What was the motive behind to prefer Oracle? Who you have been influenced by? Oracle is what I’ve always done. I’ve worked with other database products (SQL Server, mySQL, DB2, MS Access), but nowhere near as much as I’ve worked with Oracle, so I guess I’m a little biased. 5. What would your preference of profession if not Oracle? If I knew I would do it. 6. What motivates you in your job? I’m interested in technology. I like to play around with things. Sometimes the day job can get a little mundane, but the technology always keeps you on your toes. 7. Do you give lectures on Oracle? Over the last years I’ve been speaking at conferences all over the world and I’ve been doing some 2 day PL/SQL workshops in Europe for Oracle University as part of their Celebrity Series. 8. Have you authored any book in Oracle? I’ve written 2 books (Oracle Job Scheduling & Oracle PL/SQL Tuning). 9. Do you manage with your time as to read books on Oracle? What is the name of the book that you read recently? I mostly read when I’m traveling. Over the last couple of years I’ve read the Vampire Chronicles series by Anne Rice and the Discworld series by Terry Prachett. 10. What do you think on OTN forums? I don’t visit the OTN forums too often. I have my own forum so that keeps me fairly busy. 11. Do you refer to the documentation? And how often does it happen? I refer to the documentation constantly. When I have a question, it’s the first place I go. When I answer a question, I check my answer against the documentation before i post it. 12. What is the biggest mistake you have ever made during your DBA career? The longer you work with a product, the easier it is to start thinking you know it inside out. Then one day someone who knows nothing about it asks you a questions and you are lost for an answer. The biggest mistake is when you start thinking you know it all. I think we all go through a period where we think we are bulletproof. With age and experience you get a bit more humble and sit back and smile at the new kids on the block who are making all the waves. 13. What was your greatest achivement as an Oracle DBA? My greatest achievement is the fact I am still a techie after 15 years. Many really good technical people lose their desire and move out of the technical roles into management. Being a techie takes a lot of work. It would be far easier to move into a less technical role, but that’s not what I’m about. 14. What is your priority to manage the challenges you face? Whenever I try to plan anything, life throws a spanner in the works. So now I never plan anything big in my life. I let things happen to me. The challenge is to keep an open mind so you don’t talk yourself out of opportunities. 15. How would you describe the essence of your success? According to your definition of success, how successful have you been so far? It’s impossible to be objective about your own achievements. I don’t feel successful or unsuccessful. I am just me, doing what I do. 16. What are your best skills which make you differ from others? I guess I am quite driven when I’m interested in something. I tend to throw myself into things. I’m not obsessed by money or possessions. I just want to be involved. 17. What’s your major weakness? I find it hard to motivate myself to do things I’m not interested in. It takes a lot of mental effort to motivate me to cut the grass in my garden. 18. Have you ever lost your spirit? If so, what has been the reason and how have you overcome it? If I’m interested in something I never question my motives. If something goes wrong it is almost fun as it leads me down a new path. 19. What is the next success you would like to attain and your efforts to this end? I have no plans or desires. I just want to carry on doing what I want to do, when I want to do it. 20. How do you balance your daily life with your career? I have never considered trying to balance anything. Things just fall into place if you let them. 21. Please describe your one day summary of activities? At the moment I am traveling a lot, so there is never a normal day. I might be teaching, speaking at a conference, traveling, or just at home playing with the computer. When I’m doing regular work, my day is like every other DBA/Developer in the world. 22. How many hours do you work and sleep in a day? Every day is different. I’m on the computer from the time I get up until the time I go to bed, unless something forces me not to be. 23. Where and how do you spend your daily, weekly and annual holidays? 24. Do you think about Oracle during vacations? If possible I’m online during holidays. I always check my mails and answer questions on my forum if I can. 25. Do you have time or motivation to go in for any sports? If yes, which kind of sport do you go in for? I like swimming, Yoga, Karate and I go to the gym most weeks. Sometimes it’s only possible to solve problems if you can distance yourself from them. Exercise distracts your conscious mind so your subconscious can do the work for you. 26. What’s the best funny event you have ever faced in your life? I find almost everything amusing. My typical response to most situations is to make fun of them and laugh. 27. Do you keep pets? If so, the name please? I like animals in their natural surroundings. I don’t really agree with the concept of pets. I don’t have a problem with others having pets. Each to their own. 28. What’s your favorite meal and non-alcoholic drink? If it’s bad for me I like to eat it. If it’s good for me, I probably don’t like it. 29. What foreign languages do you know? I only speak English. Most countries where English is the first language are pretty rubbish at learning other languages. It’s the curse of speaking such a widely available language. 30. What’s your average typing speed? I have no idea. I type quite fast, but if I think about it I will slow down to a crawl. 31. Have you ever get involved in politics? I have the unenviable trait of always seeing both side to the story. I would make a terrible politician. 32. What are your hobbies? 33. How do you spend your free time? 34. What’s your biggest ambition? I never think about that sort of thing. I just do stuff. 35. What would be your advice to the beginners in Oracle? Read the manuals. Always check everything people say to you. Things change and most people aren’t too good at adapting to change. 36. Would you like your children to follow in your footsteps or take a different path in life? I have no children. If I ever have any I want them to do what they want to do, not what other people expect them to do. 37. Do you have any followers of you? I guess lots of people know who I am because of my website and the Oracle ACE Director program, but I’m just a regular guy. Followers implies there is something to follow. 38. What is your vision on the future of Oracle? Oracle will continue to expand and every year my skills will be a smaller and smaller subset of the total product set. That’s the way it should be. 39. Could you please take a photo in your office near to your desktop? No way. My home office is a mess. I’m overly neat at work, but at home I’m a slob.